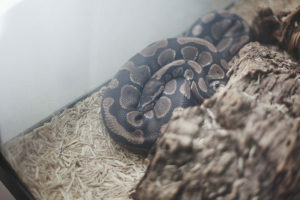 My Pet Python is a for profit blog. 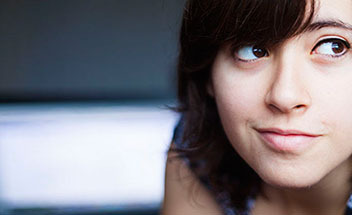 The site displays both relevant affiliate links as well as paid advertisements. My Pet Python reserves the right to terminate sponsorship of any kind without refund due to factors such as: unethical business practices, conflicts of interest, or subpar product quality. Information about your visit to this blog is never shared, and is used to analyze and optimize content and your overall reading experience. My Pet Python uses third-party advertising companies. These companies may use aggregated information (which does not include sensitive data like your name, address, email address, telephone number, etc.) to learn about your visit from this website to theirs. If you have questions, feel free to contact me by using the form on the Contact Page. Welcome to My Pet Python! 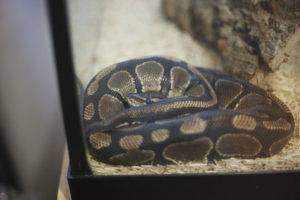 I'm Elise and this website is devoted to tracking the life of my pet snake: an adult ball python named Havana. 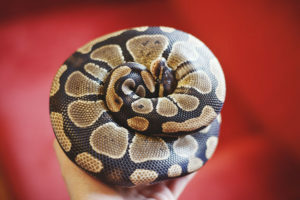 The site contains guides on proper ball python care, tips for choosing a pet python, a variety of snake facts, and many other miscellaneous snake-related articles. 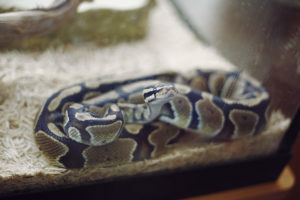 Learn more about My Pet Python here. © 2012–2019 My Pet Python. All Rights Reserved. Writing and photography by Elise Xavier.